Who here is going to Head of the Lake in Seattle next weekend? 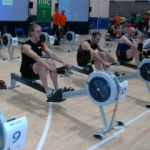 There will be two indoor rowing events run during November – the Irish Provinces Indoor Rowing Competition and the Ulster Indoor Rowing Championships. Who are the best D1 coxswains D1 coxing for top level programs right now? 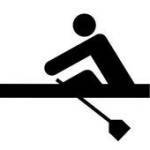 Anybody rowing/coxing at the HOTO this weekend? This will be my second year at the Head of the Occoquan and I’m curious as to if there is anyone here who will be attending? I row for Bull Run Rowing Club. Off-season goals: drop weight & get fast. Advice? I’ve got a pretty standard query. I’m a 5’9 20 year old female, 145lbs (I row as a lwt, just got really damn fat in the past few weeks), 8:05 2K. Been rowing for a year and a half.